عندما تزور هذه المدينة رائعة الجمال، ستشعر أنك في بيتك في Trevallyn House B & B الذي يقدم لك إقامة متميزة و خدمات عظيمة. يسهل الوصول إلى هذا الفندق ذو 4.5 نجوم من المطار، فهو يبعد عنه مسافة 15 km فقط. كما يمكن الوصول بسهولة إلى عدة معالم سياحية قريبة. استمتع بالخدمات الراقية والضيافة التي لا مثيل لها بهذا الفندق في هذه المدينة رائعة الجمال. تتضمن الميزات الرئيسية في هذا الفندق: واي فاي مجاني في جميع الغرف, واي فاي في المناطق العامة, صف السيارات, خدمة غسيل الملابس. تتضمن كل غرف النزلاء وسائل الراحة والتسلية المصممة خصيصاً لضمان الراحة القصوى للضيوف. يقدم الفندق مجموعة واسعة من وسائل الراحة المتنوعة، كمثل: حديقة. استمتع بخدمات لا يعلى عليها وعنوان ذو اعتبار في Trevallyn House B & B . Top marks! Could not improve in any way. Breakfast amazing, cleanliness perfect and host extremely accommodating. Janie was a great host and accommodation was very comfortable and welcoming. Very nice breakfast options. Recommended. It is just perfect. For any kinds of scoring, I give a full mark. Couldn’t not fault our stay here. From start to finish was an absolute pleasure to stay here. Extremely welcoming and homely feeling. 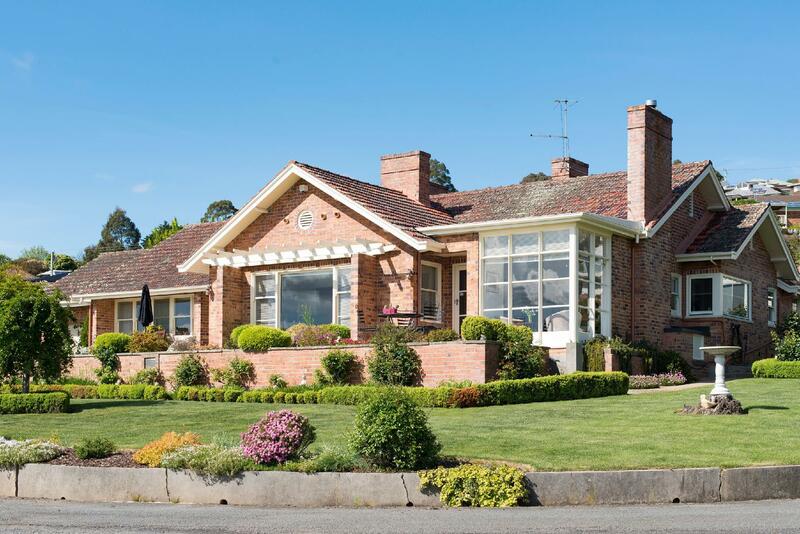 Picture perfect landscaping and incredible views of the Tamar. Trevallyn B&B is a fantastic place to stay near launceston. The warmth doesn't just come from the rooms and the shared fireplace, but also the staff. Janie was a tremendous host and made our first trip with an infant away from home a dream. She was generous with her breakfast as well as her kindness. Would happily stay here the next time we travel to Launceston. Excellent and beyond expectation in all aspects. I am extremely satisfied with this place. This place rock. Period. You will not regret it. Just book it. The location is great, the facilities are great and the host Janie is great. Just a great place. A simply wonderful property with equally wonderful host who continues to operate the venue from the original owners from last century.A great building spotless from head to foot in a magnificent building overlooking the Tamar Valley and river. Breakfast was just amazing as was the port-wine provided daily.Ideally located $7.00 taxi ride from central Launceston and two minutes from a Woolworths supermarket and BWS Bottle Shop. A very special B&B which should not be missed by discerning travellers. Excellent value for money, location, cleanliness, staff and facilities! Very pretty house with wonderful views & great breakfast. The accommodating nature and cooking skills of the hostess and host. Albeit we were there because we had work commitments- however it was a lovely 3 days and nothing was ever a problem for Janie and Brett! Superb. The breakfast was amazing. Freshly squeezed apple juice, followed by smoked salmon on rosti, or a Mediterranian feast of potatoes, sundried tomatoes, olives , bacon etc , home made jam, toast and a hot drink of your choice. I declined the fresh fruit and cereal - only so much room. Everything was spotless, and chocolate and port in the room was a lovelytouch. Great value. A great stay and we can see a kangaroo just outside of our cottage. All equipment are available for cooking, and we have done a great dinner by ourselves in the kitchen. Everything was great! You won't be disappointed. nice view, big enough, clean. Enjoy a self-cooking dinner with the nice view of launceston. Clean and tidy but water pressure is a bit weak. Overall is great.